Celebrate a loved one's life by giving a memorial donation. 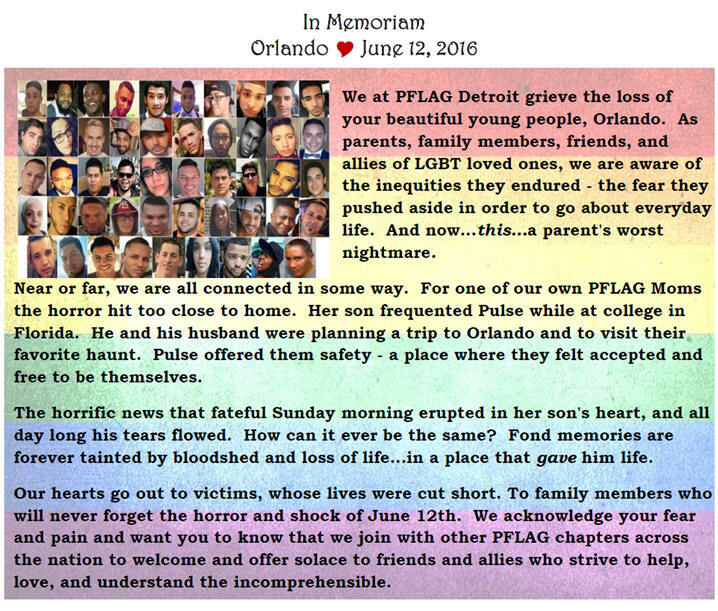 Every gift acts as a lasting memorial and provides financial support to PFLAG Detroit that will enable us to continue our Support, Advocacy, and Education services. When someone close to you is no longer here, remember them and celebrate their life. Anyone can donate in memory of family, friends, allies, colleagues or neighbors whenever they wish.